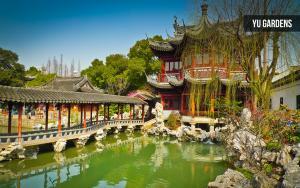 Travel to China with the Salt Lake Chamber! This international trip visits incredible China, with historic locations including Tiananmen Square, the Ming Tombs and the Forbidden City. Learn about China’s extensive dynastic history while exploring the ultra-modern cities of Beijing and Shanghai. Spend time at the stunning Great Wall of China, walk along the Bund and bask in the natural beauty of Yu Garden. The Terracotta Warriors, the Summer Palace and the Temple of Heaven are yours to enjoy as we explore China. *Price is per person, based on double-occupancy. Must register by December 15, 2017. **Travelers are responsible for their airfare to and from Seattle (SeaTac International Airport). Today you will board your afternoon flight from Seattle to China. Arrive in Beijing, the capital of China, in the afternoon. You will be met at the airport by our tour guide and transferred to the hotel after dinner. 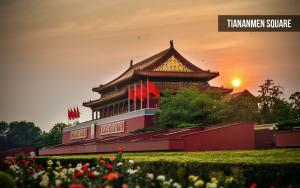 Visit Tiananmen Square, one of the largest city squares in the world. Built in 1415 during the Ming Dynasty, the square contains the Monument to the People’s Heroes, the Great Hall of the People, the National Museum of China and the Mausoleum of Mao Zedong. The founding of the People’s Republic of China was declared here in 1949. 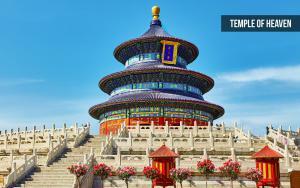 Also visit the Temple of Heaven, a parkland and important religious complex in Beijing. Enjoy breakfast at the hotel before departing on our full day of sightseeing in Beijing. 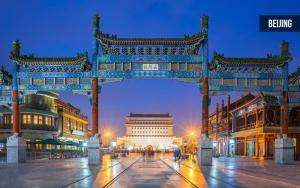 Travel to the Forbidden City, located in the center of Beijing and built in the Ming Dynasty. Inside the Forbidden City is the Palace Museum, the ceremonial and political center of Chinese government for almost 500 years. Legend says there are 9,999 rooms inside the Forbidden City. Spend time at the Summer Palace, with its halls, pavilions, corridors, palaces, lakes and gardens on splendid display. Enjoy the natural beauty and the meticulous architecture of this magnificent structure, with its stunning view of Kunming Lake and Longevity Hill. Travel by motor coach to the Great Wall, one of the great architectural wonders of the world. Stretching thousands of miles across the northern border of China, the Great Wall is a sight to behold and a must-see when visiting China. Later, visit the Ming Tombs, a collection of mausoleums built by the emperors of the Ming Dynasty. 13 Ming emperors are buried in these Imperial Tombs. Fly to Xi’an today. Xi’an is one of the oldest cities in China and the oldest of the Four Great Ancient Capitals of China. Enjoy a motor coach tour of the ancient City Wall and the Big Wild Goose Pagoda. The evening will include a show featuring traditional Chinese music. 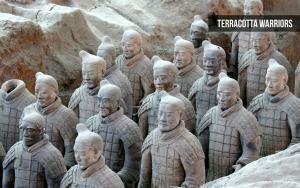 Take an excursion to the Terracotta Warriors Museum and view the incredible Terracotta Army. The life-sized replica of the army of the first Emperor of China, Qin Shi Huang, stands guard in front of the emperor’s mausoleum, protecting him in the afterlife. Visit Huaqing Palace, site of many hot springs at the foot of Mount Li. Later, explore Banpo Museum, an archaeological site located in the Yellow River Valley. Take a morning flight to Shanghai, the most populous city in the world. We will tour the city by motor coach. 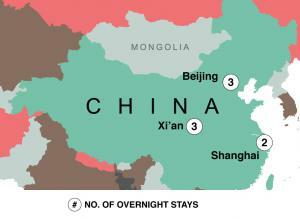 Shanghai is located in the Yangtze River Delta and is an important shipping and trade city. Shanghai is one of the main industrial centers in China; it is home to the largest free-trade zone in China and is the world’s busiest container port. Take in the iconic Lujiazui skyline as you explore everything Shanghai has to offer. Today we visit Yu Garden, built in 1559 during the Ming Dynasty. The five-acre garden is divided into six areas, with each area separated by a dragon wall. Explore the Exquisite Jade Rock, the Stone Boat, Dianchun Hall and other marvelous features in the garden. We will also visit the Bund, central Shanghai’s famous waterfront park. The Bund is one mile long and situated on the bank of the Huangpu River, offering a spectacular view of Shanghai. Later, visit the Pudong Economic Development Zone, a focus of Chinese urban development. Your afternoon flight to the USA departs; you will arrive in Seattle on the same day.